Little Red Wagon Preschool is currently enrolling for the 2019-20 school year! Please take a look at our Enrollment page for upcoming tours where you can learn more about our program! 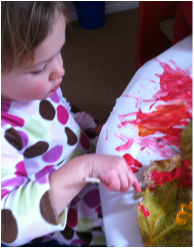 Little Red Wagon is a part-time preschool in the lovely Queen Anne neighborhood offering classes for children 2-5 years old. 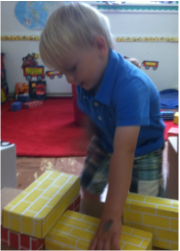 We have small class sizes to ensure individualized attention and creative learning opportunities. 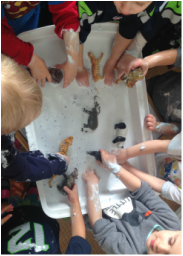 Our play-based curriculum provides a loving and inspiring environment. We are located next door to the Queen Anne Library inside the Queen Anne United Methodist Church. "Little Red Wagon feels more like a family than a school. 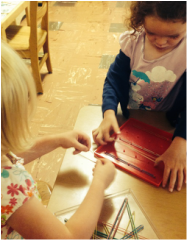 I know my children are not only exposed to a variety of play-based learning experiences, but they are also loved and cared for by their teachers. The small class sizes allow them to create powerful friendships as well as to have their individual voices heard in the classroom."